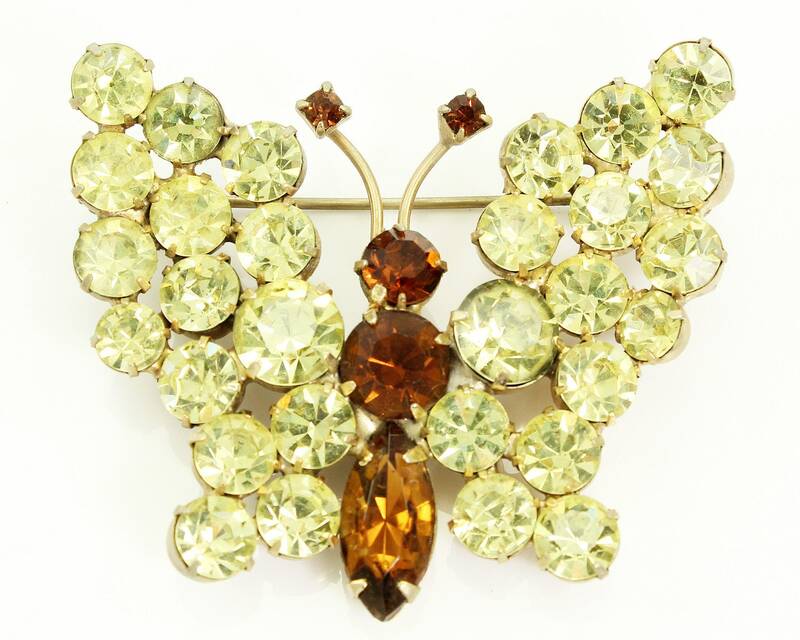 Vintage Yellow and Root Beer Rhinestone Butterfly Brooch. 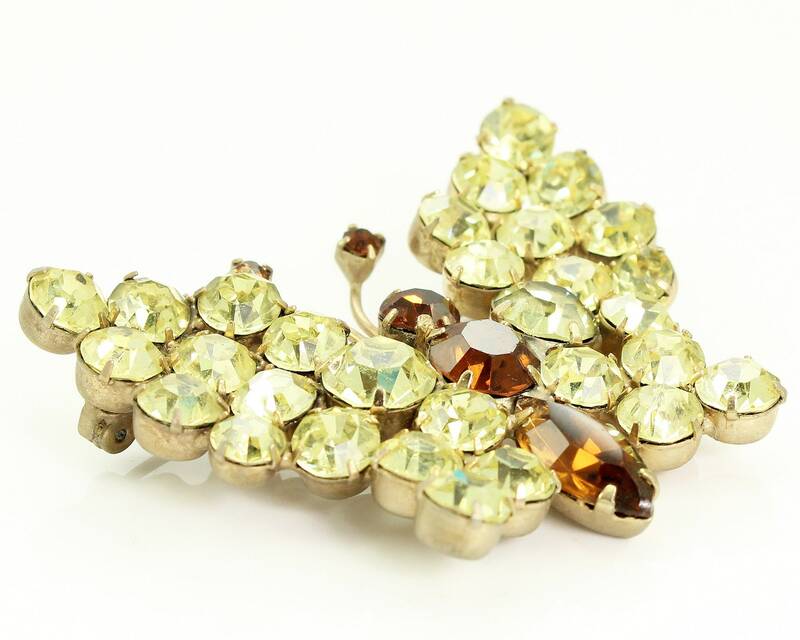 This brilliant beauty was made in the 1950s and still shines brightly. It is multi-dimensional and weights 2 x 1.75". Finished with a roll over pin stem that works nicely. CONDITION: Good Vintage Condition, with minor wear. 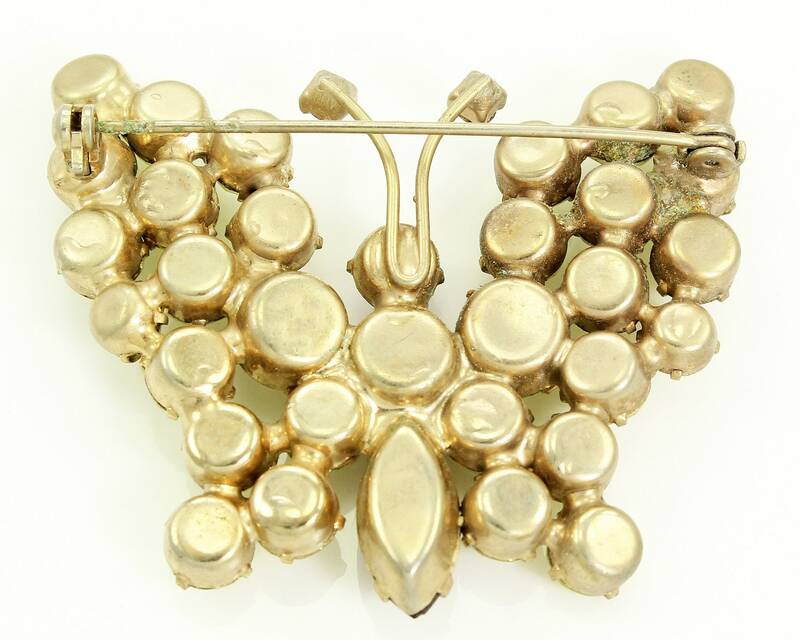 Brooch was previously owned and worn. SIZE/MEASUREMENTS: 2 inch x 1 3/4 inch.